It seems that you should never make a bet with Leonardo DiCaprio—actor Tom Hardy is learning this the hard way. The story goes that the Titanic star bet Hardy that he would get an Oscar nomination for his role in The Revenant. Hardy firmly disagreed, so they made a bet. Well, turns out the English actor did get an Oscar nod, and now has to follow through according to an interview he gave in Esquire magazine. Hardy’s tattooed body needs to make room for one more piece of ink. In the interview, Hardy, 39, revealed that DiCaprio shared his idea for a tattoo that would say, “in this really sh-tty handwriting: ‘Leo knows everything,’ Ha! I was like, ‘OK, I’ll get it done, but you have to write it properly.’” The Warrior actor has yet to get the tat, and by all appearances seems to be stalling on that front. Tom Hardy is one of those actors who doesn’t have a regular training routine, because his regimen changes with every role he plays—and every role has different requirements for how his physique should look. But there is always a combination of exercises including cardio, weight lifting, and kick boxing. For Warrior, he had to bulk up very fast to create the physique of a British prisoner. Here, Hardy had to focus on creating extremely muscular arms/shoulders, a barrel chest, large gut, and thin legs. Not a look any typical man would work to achieve, but it was necessary for the role. Because of this need for upper body bulk, his workouts consisted of a lot of bench presses, push-ups, ab workouts, resistance training, and shoulder presses. The actor worked out an insane eight hours a day for 10 weeks. In regards to dieting for the role, he was told to eat anything he wanted to increase his overall body weight. Hardy had to gain seven pounds a week for five weeks. He ate mostly chicken and rice, pizza, and soda, and ate six small meals throughout the day. The actor says he bulked up naturally without the use of any steroids. Production notes from the set of Warrior show that Tom Hardy’s exercise regimen consisted of two hours each a day of boxing, kickboxing and Muay Thai, choreography, and heavy lifting. All of this plus his food intake helped Hardy with his weight gain for the role. His workout for Bane in The Dark Knight was similar to what he did for Bronson, but focused more on weight training, which resulted in a lean MMA fighter body. 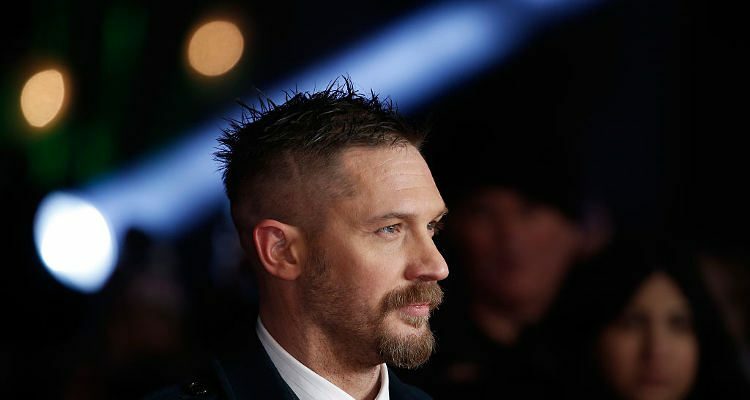 To achieve this look, Hardy followed a strict 5×5 weight lifting formula that involves doing five sets of five repetitions with two to four minutes between each set. Workouts for this are done three times a week. Lang, C., “Leonardo DiCaprio Is Making Tom Hardy Get a Bad Tattoo in the Ultimate Bro Move,” TIME web site; http://time.com/4590303/leonardo-dicaprio-tom-hardy-tattoo-bet/, last accessed December 5, 2016. “Train Like Tom: Complete Tom Hardy Celebrity Workout & Diet,” Skinny Yoked web site, August 29, 2016; http://skinnyyoked.com/bodybuilding/complete-tom-hardy-celebrity-workout-diet/, last accessed December 5, 2016.